A gorgeous special, uniquely made mirror. This mirror has an impressive chain link design. Perfect for any plain and simple room if you are looking to add more glamour. 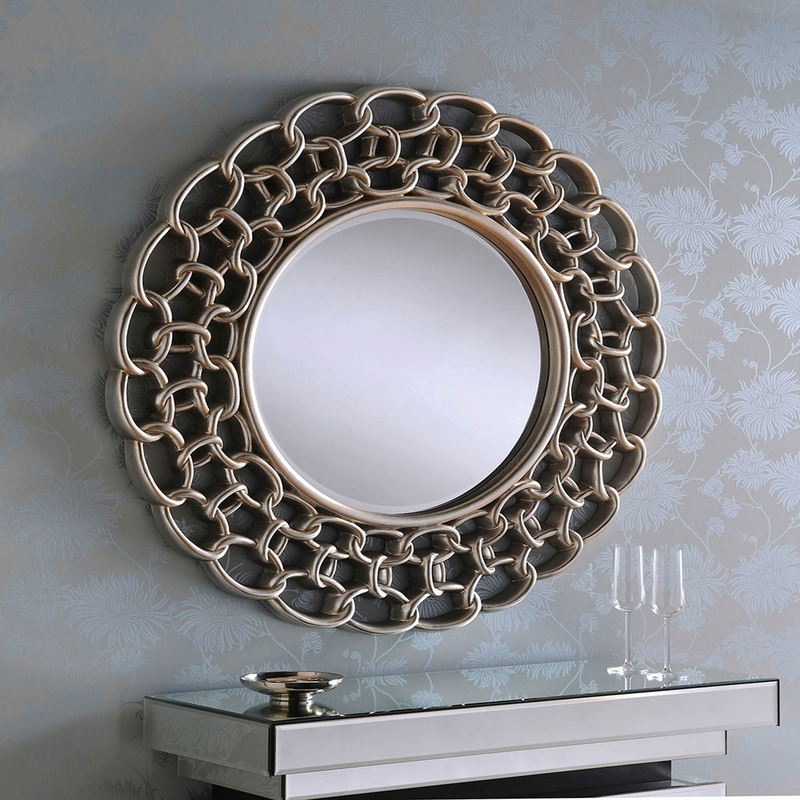 Make your room feel luxuriant and a homely like feel by just adding this mirror. Give your room a gorgeous delicate feel. This wonderfully detailed wall mirror is a fantastic statement piece for any room in the house from the bedroom to the hallway. Lastly finished off with a silver leaf finish.